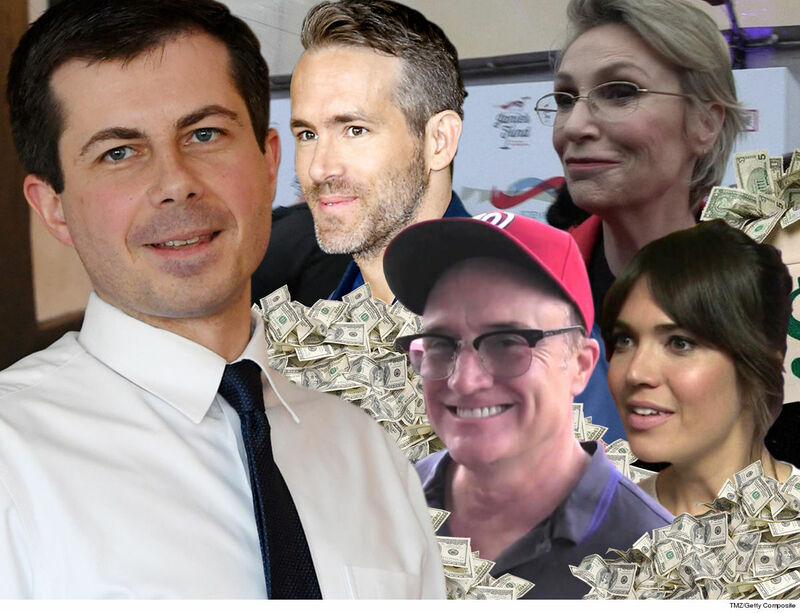 Mayor Pete Buttigieg ﻿is already getting tons of support from Hollywood in his bid for the White House … celebs are donating to his Presidential campaign right out of the gate. Jane Lynch ﻿is leading the way after throwing down $2,700 … while Mandy Moore and ﻿Bradley Whitford each plunked down $2,000 and Pedro Pascal tossed in $1,500. Ryan Reynolds is also backing Mayor Pete from the jump … the A-list actor chipped in $250. We haven’t seen Ryan publicly support the South Bend Mayor, but his donation proves he’s at least curious about what he’s selling. Ditto for one of the famous Kennedy clan. We found three separate $250 donations from Caroline Kennedy … daughter of President John F. Kennedy and Jackie Kennedy Onassis. The openly gay mayor is also getting some financial support from the LGBT community … openly gay comedian Guy Branum cut a $500 check and Chaz Bono made 3 donations totaling $650. We gotta say … Pete’s celebrity backing is impressive, considering the crowded field and the fact he’s arguably 2020’s most unlikely candidate.